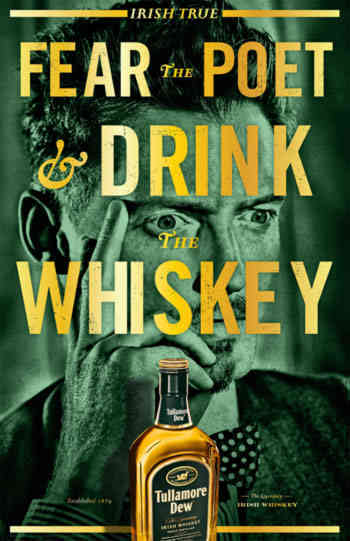 Irish whiskey Tullamore Dew is to benefit from multi-million dollar global investment from owners William Grant & Sons. The money will go towards new-look packaging and the launch of a global advertising campaign under the banner “Irish True”. Rolled out globally this month, the ad campaign, shot by filmmaker Jake Scott (son of Ridley), features “charismatic characters evoking the poetic and rebellious spirit of the Irish”, while the new look packaging, which premiered at the TFWA World Exhibition 2011 in Cannes this week, will go on sale next July. The investment has been prompted by the brand’s rapid growth, which has seen sales almost double since 2005, driven largely by increased consumer demand in the USA and emerging Irish whiskey markets such as the Czech Republic and Germany.